Debut Album Coming November 9th 2018 On Argonauta Records! French Doom Metal band CONVICTION have unveiled first and hotly anticipated details about their self-titled debut album, set for a release on November 9th 2018 with Argonauta Records! Rising up from the mind of Olivier Verron (more known in the international Metal Scene under the alias of Amduscias, leader of the French Black Metal band TEMPLE OF BAAL), CONVICTION was formed in November 2013, when the first demo was composed and recorded… In only 11 hours. 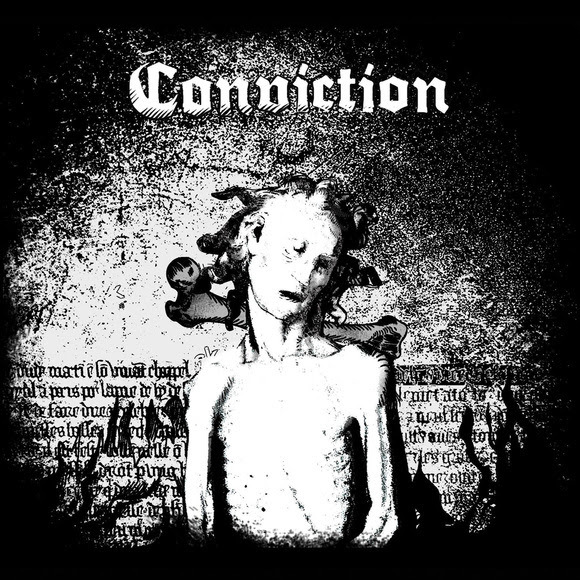 CONVICTION’s first release introducing a pure traditional Doom band influenced by SAINT VITUS, PENTAGRAM, COUNT RAVEN or early CATHEDRAL, was very well received within the Underground. After the release of their second digital single ‘Outworn’, CONVICTION was joined by guitar player Frédéric Patte-Brasseur (ATARAXIE, FUNERALIUM), bass player Vincent Buisson (MOURNING DAWN) and drummer Rachid “Teepee” Trabelsi (MOONSKIN, CORROSIVE ELEMENTS). After signing a worldwide deal with Italy’s rising label Argonauta Records, the band is excited to finally release their first full-length album, recorded, mixed and mastered by guitarist Frédéric Patte-Brasseur in the Vault 92 Studio. All Noir PRARGONAUTA RECORDSComing November 9th 2018CONVICTIONDebut AlbumREVEAL ALBUM DETAILS!